In a city like London where the wealth gap between those at the top of society and those at the bottom continues to widen inexorably, and where public space appears to be at a premium, it’s becoming harder for people with a minimal income at their disposal to access modes of information and entertainment outside of the home. With an increase in the level of in-work poverty over the last decade due largely to the normalizing culture of zero-hours contracts and part-time work, access to the paid cultural aspects of a city like London is fast becoming the domain of the few as opposed to the right of the many. Highly inflated costs during a sustained period in which wages have stagnated, not only means that more people are being priced out of corporate-controlled spaces, but they are also denied the socialized interaction that are analogous to them. But this not the whole story. It’s perhaps tempting to believe that the corporate world of learning is diverse and the flow of information wide-ranging. But this is an illusion. Entertainment, like TV news, is ideological and uniform in order to satisfy the financial demands of advertisers and, in the case of the Oscar winning ‘documentary’ The White Helmets, the UK and US governments’. This is where public libraries, as alternative spaces, come into their own. One of the reasons why many people regard libraries as places to be a valued as well as trusted resources at the heart of communities is because they foster not only learning but social, cultural and economic well-being. In that sense, public libraries are more than just books. They offer children’s activities during term and holidays which are used by parents and nurseries. They offer access to the internet to those that don’t have access. They provide space for people to read and study in peace that is not always possible in their homes. They are places to host community events, training and education. They provide respite for the mentally ill and a space for people with physical disabilities who perhaps feel isolated in the home, as well as offering a temporary sanctuary to the homeless. They are, in other words, the embodiment of social provision and community spirit. And, of course, they are free. Indeed, there are many reasons for arguing that the library is the most important place in town. So the question is, why is the government seemingly intent on getting rid of them? 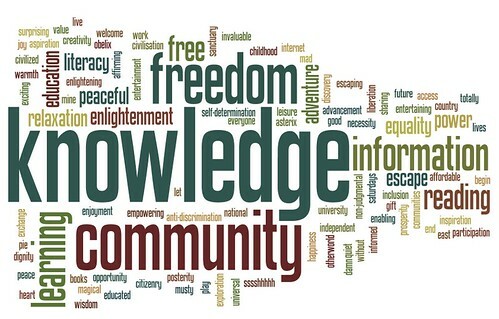 Freedom of Information (FOI) figures show that since 2010, 575 council-run public libraries have either been closed, transferred to community groups or outsourced. A further 111 are due to be closed within a year. The main reason for this asset-stripping of a public utility is ideological. Public libraries represent notions of community and collective values. Many sit on prime value land. But the shift in government attitudes goes deeper than that. In part, it’s also the fact that libraries represent the very antithesis of the fast-paced rhythm of modern life. The process of reading books is a slow-burning aesthetic pleasure that cannot be reduced to a soundbite phrase or snappy commercial. Furthermore, books are tangible things, not abstractions that exist in ‘clouds’ and can be taken away for free, a system paid for through taxation based on the concept of reciprocity. These are the kinds of values the Tories detest. The Tory-controlled London Borough of Barnet appears to be the model testing-ground for a future government-planned country-wide closure of libraries as part of a broader programme of austerity-driven measures. Cuts to library services in Barnet are severe and their impacts will come down hardest on children. Libraries are beneficial to both the health and literacy levels of children. In relation to the former, a 2016 study by brain specialist and child development expert, Dr Aric Sigman is said to reveal concerns about the permanent damage to health, development and achievement the prolonged and repeated reading from screens, as an alternative to reading books, has on children. Sigman ‘s findings are consistent with Barnet’s own ‘Risk Assessment’. But despite this, the council urges young people to adopt an even more sedentary lifestyle and spend up to four-times the safe limit staring at computer screens. In terms of the latter, Barnet’s own documents show that children aged 10-15 account for 12 per cent of library use and they do so independently after school. Massive closures will almost certainly impact negatively on their levels of literacy and, as a result of the increase in the lack of study space, will likely damage older children’s exam pass-rate potential. Protester Ralph Vincent summed up the bewilderment and fury of local children when he said:. To mark the 20th celebration of World Book Day last Thursday (March 2), schoolchildren gathered locally to denounce the council’s plan to shut down two-thirds of Barnet’s libraries that very week. Despite several consultations and pending legal action, the council approved 12 separate planning applications to spend more than £14m in an attempt to save less than £2.3m (a massive 2177.5% increase in cost per user resulting from these drastic cuts). This highlights that the decision to cut services is ideological as opposed to being economically pragmatic. Barnet’s ‘Risk Mitigation’ and ‘Equal Opportunities Assessment’ states that of the 64 per cent of disabled people who visit a library on a weekly basis who can no longer physically enter them, should instead stay at home and use the mobile service. Last year the mobile service in Barnet catered to barely 3,000 or 1.6 per cent of users. The decision by Barnet to go ahead with these drastic cuts to services clearly contravenes the 1964 Museums and Public Libraries Acr which was introduced in order to ensure council’s didn’t renege on their duty to encourage use of library services. The Act legally requires local authorities to provide comprehensive and efficient library services. But more than that, on the basis of protecting our children’s health, well-being and education attainment levels, Tory plans to cut library services throughout the rest of the country must be resisted at every turn. Organizations like the NHS, and local public services like libraries, are too important to lose. I have no doubt that it will play a major part in persuading Barnet Council to reverse their ill-conceived and ill-judged policy of castrating public libraries, and that your arguments will persuade also the Secretary of State for Culture Karen Bradley, to implement the Museums and Public Libraries Act 1964, enforcing the legislation and requiring local authorities throughout the UK to comply with their statutory duty to provide a comprehensive and efficient library service under the Act. I am a long time fan of Daniel’s blog, which is a regular and authoritative commentary on the world scene. I recommend it to you. Warmest good wishes to you all. It’s time to take a stand!! !